Wall paintings have been cultural expressions of human creation throughout history, from the earliest beginnings, such as rock art, extending up to present day murals. Their deterioration, accidental or intentional destruction constitutes a loss affecting a significant part of the world?s cultural heritage. The Venice Charter (1964) has provided general principles for the conservation-restoration of cultural heritage. The Amsterdam Declaration (1975) introducing the concept of integrated conservation, and the Nara Document on Authenticity (1994) dealing with cultural diversity, have expanded these principles. Taking into account these and additional relevant contributions, such as the ICOM-CC Code of Ethics (1984), Document of Pavia (1997), and E.C.C.O. Professional Guidelines (1997), the aim of this document is to provide more specific principles for the protection, preservation and the conservation-restoration of wall paintings. This document, therefore, reflects basic and universally applicable principles and practices, and does not take into account particular problems of regions or countries, which can be supplemented at regional and national level by providing further recommendations where necessary. The richness of wall paintings is founded on the variety of cultural expressions, aesthetic achievements, and the diversity of materials and techniques used from ancient until present times. The following articles refer to paintings created on inorganic supports, such as plaster, brick, clay and stone, and do not include paintings executed on organic supports, such as wood, paper and canvas. Composite materials in many historic buildings need special consideration outside the scope of this document. Architectural surfaces and their finishing layers, with their historical, aesthetic and technical values have to be considered as equally important components of historic monuments. Wall paintings are an integral part of monuments and sites and should be preserved in situ. Many of the problems affecting wall paintings are linked to the poor condition of the building or structure, its improper use, lack of maintenance, frequent repairs and alterations. Also frequent restorations, unnecessary uncovering, and use of inappropriate methods and materials can result in irreparable damage. Substandard and inadequate practices and professional qualifications have led to unfortunate results. It is for this reason that an appropriate document covering the principles of proper conservation-restoration of wall paintings is necessary. A necessary approach to the protection of wall paintings of every culture and religion is to list and make inventories of monuments and sites including wall paintings, even in cases when they are not presently visible. Laws and regulations for the protection of cultural heritage must prohibit the destruction, the degradation or alteration of wall paintings, including their surroundings. Legislation should not only provide for the protection of wall paintings, but also make available resources for research, professional treatment and monitoring, and provide for the appreciation of their tangible and intangible values by society. If interventions are required, these should be carried out with the full knowledge and the consent of the authorities responsible. Legal sanctions should be provided for any violation of such regulations. Legal provisions should also consider new discoveries and their preservation pending formal protection. Regional, urban or architectural development projects, such as the construction of roads, dams, conversion of buildings, etc. affecting wall paintings should not be carried out without an initial impact assessment study and without providing appropriate remedies for their safeguard. Special efforts must be made through the co-operation of various authorities to accommodate and respect the cult function of religious paintings without compromising their authenticity. All conservation projects should begin with substantial scholarly investigations. The aim of such investigations is to find out as much as possible about the fabric of the structure and its superimposed layers with their historical, aesthetic and technical dimensions. This should encompass all material and incorporeal values of the painting, including historic alterations, additions and restorations. This calls for an interdisciplinary approach. The methods of investigation should be as far as possible non-destructive. Special consideration should be given to wall paintings that may be hidden under whitewash, paint layers, plaster, etc. Prerequisites for any conservation program are the scientific investigation of decay mechanisms on macro and micro scale, the material analysis and the diagnosis of the condition. In agreement with the Venice Charter, the conservation-restoration of wall paintings must be accompanied by a precise program of documentation in the form of an analytical and critical report, illustrated with drawings, copies, photographs, mapping, etc. The condition of the paintings, the technical and formal features pertaining to the process of the creation and the history of the object must be recorded. Furthermore, every stage of the conservation-restoration, materials and methodology used should be documented. This report should be placed in the archives of a public institution and made available to the interested public. Copies of such documentation should also be kept in situ, or in the possession of those responsible for the monument. It is also recommended that the results of the work should be published. This documentation should consider definable units of area in terms of such investigations, diagnosis and treatment. Traditional methods of written and graphic documentation can be supplemented by digital methods. However, regardless of the technique, the permanence of the records and the future availability of the documentation is of utmost importance. The aim of preventive conservation is to create favourable conditions minimising decay, and to avoid unnecessary remedial treatments, thus prolonging the life span of wall paintings. Appropriate monitoring and the control of the environment are both essential components of preventive conservation. Inappropriate climatic conditions and moisture problems can cause deterioration and biological attacks. Monitoring can detect initial processes of decay of the painting or the supporting structure, thus preventing further damage. Deformation and structural failure leading even to possible collapse of the supporting structure, can be recognised at an early stage. Regular maintenance of the building or the structure is the best guarantee for the safeguard of the wall paintings. Inappropriate or uncontrolled public uses of monuments and sites with wall paintings can lead to their damage. This may necessitate the limitation of visitors and, in certain cases, involve temporary closure to public access. However, it is preferable that the public should have the opportunity to experience and appreciate wall paintings as being part of the common cultural heritage. It is, therefore, important to incorporate into the site management careful planning of access and use, preserving, as far as possible, the authentic tangible and intangible values of the monuments and sites. Due to various sociological, ideological and economical reasons many wall paintings, often situated in isolated locations, become the victims of vandalism and theft. In these cases, the responsible authorities should take special preventive measures. Wall paintings are an integral part of the building or structure. Therefore, their conservation should be considered together with the fabric of the architectural entity and surroundings. Any intervention in the monument must take into account the specific characteristics of wall paintings and the terms of their preservation. All interventions, such as consolidation, cleaning and reintegration, should be kept at a necessary minimal level to avoid any reduction of material and pictorial authenticity. Whenever possible, samples of stratigraphic layers testifying to the history of the paintings should be preserved, preferably in situ. Natural ageing is a testimony to the trace of time and should be respected. Irreversible chemical and physical transformations are to be preserved if their removal is harmful. Previous restorations, additions and over-painting are part of the history of the wall painting. These should be regarded as witnesses of past interpretations and evaluated critically. All methods and materials used in conservation and restoration of wall paintings should take into account the possibility of future treatments. The use of new materials and methods must be based on comprehensive scientific data and positive results of testing in laboratories as well as on sites. However, it must be kept in mind that the long term effects of new materials and methods on wall paintings are unknown and could be harmful. Therefore, the use of traditional materials, if compatible with the components of the painting and the surrounding structure, should be encouraged. The aim of restoration is to improve the legibility of form and content of the wall painting, while respecting the original creation and its history. Aesthetic reintegration contributes to minimising the visibility of damage and should primarily be carried out on non-original material. Retouching and reconstructions should be carried out in a way that is discernible from the original. All additions should be easily removable. Over-painting must be avoided. Uncovering of wall paintings requires the respect of the historic situation and the evaluation of what might be lost. This operation should be executed only after preliminary investigations of their condition, extent and value, and when this is possible without incurring damage. The newly uncovered paintings should not be exposed to unfavourable conditions. In some cases, reconstruction of decorative wall paintings or coloured architectural surfaces can be a part of a conservation-restoration program. This entails the conservation of the authentic fragments, and may necessitate their complete or partial covering with protective layers. A well-documented and professionally executed reconstruction using traditional materials and techniques can bear witness to the historic appearances of facades and interiors. Competent direction of conservation-restoration projects should be maintained at all stages and have the approval of the relevant authorities. It would be desirable that independent supervision of the project were insured by competent authorities or institutions without commercial interest in the outcome. Those responsible for management decisions must be named, and the work must be implemented by professionals with appropriate knowledge and skills. In urgent cases, immediate emergency treatment is necessary for the safeguard of wall paintings. Materials and techniques employed must permit later treatment. Appropriate conservation measures must follow as soon as possible with the permission of the relevant authorities. Detachment and transfer are dangerous, drastic and irreversible operations that severely affect the physical composition, material structure and aesthetic characteristics of wall paintings. These operations are, therefore, only justifiable in extreme cases when all options of in situ treatment are not viable. Should such situations occur, decisions involving detachment and transfer should always be taken by a team of professionals, rather than by the individual who is carrying out the conservation work. Detached paintings should be replaced in their original location whenever possible. Special measures should be taken for the protection and maintenance of detached paintings, and for the prevention of their theft and dispersion. The application of a covering layer concealing an existing decoration, carried out with the intention of preventing damage or destruction by exposure to an inhospitable environment, should be executed with materials compatible with the wall painting, and in a way that will permit future uncovering. The establishment of research projects in the field of conservation-restoration of wall paintings is an essential requisite of sustainable preservation policy. Investigations based on research questions, which have potential to add to the knowledge of degradation processes should be encouraged. Research that will expand our knowledge of the original painting techniques, as well as materials and methods of past restoration practices are essential in the implementation of appropriate conservation projects. This research is also relevant to related disciplines of the arts and sciences. The disturbance of significant fabric for study, or to obtain samples, should be minimised. Dissemination of knowledge is an important feature of research, and should be done on both the professional and popular levels. 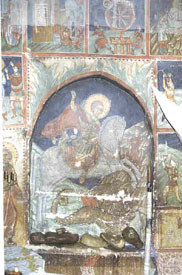 Public information can substantially advance awareness of the need for preservation of wall paintings, even if conservation-restoration work may cause temporary inconveniences. Conservation-restoration of wall paintings is a specialised discipline in the field of heritage preservation. 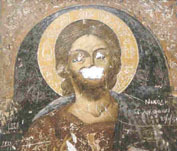 As this work requires specific knowledge, skills, experience and responsibility, conservators-restorers of this kind of cultural property should be professionally educated and trained, as recommended by the Code of Ethics of the ICOM-Committee of Conservation (1984) and by associations such as E.C.C.O. (European Confederation of Conservator-Restorers? Organisations) and ENCoRE (European Network for Conservation-Restoration Education). In many regions of the world, the authentic painting practices of artists and craftsmen are continued by repeating historic decorative and iconographic programs using traditional materials and techniques. These traditions, satisfying religio-cultural needs and keeping to the Nara principles, should be sustained. However, as important as it is to preserve this special knowledge, this does not imply that the conservation-restoration treatments of wall paintings are to be carried out by craftsmen or artists. Sharing the care for common heritage is nationally and internationally an accepted concept. It is therefore necessary to encourage the exchange of knowledge and to disseminate information at every level. In the spirit of interdisciplinary collaboration, conservators-restorers of wall paintings need to liaise with their colleagues in other countries and with relevant institutions and specialists around the world. This document, in its present form, was drafted in Copenhagen from 28th October 28 to 1 November 2002. It was edited and completed in Thessaloniki from 8 to 9 May 2003. Rapporteur: Isabelle Brajer.